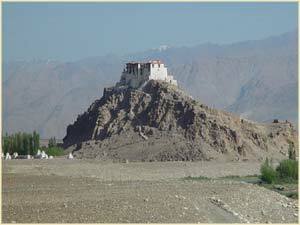 Ladakh is at the western end of the Tibetan Plateau in the northernmost part of India. It is about half the size of South Carolina with an average altitude of 12 to 13 thousand feet. Many remote villages, however, are at altitudes of 14 thousand feet or higher with connecting passes at 16 to 18 thousand feet. While the latitude of Ladakh (34.1°N:Leh) is about the same as South Carolina and Los Angeles, CA in the US and the south coast of Spain in Europe, its high altitude means that temperatures in the winter in many regions often reach -40° and lower. The 2 main roads leading into Ladakh, Manali from the south and Srinagar from the west are generally closed from about November through May because of snow. 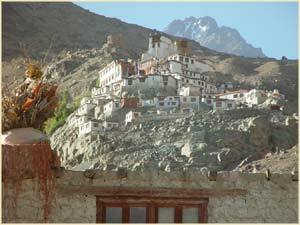 The name Ladakh comes from the Tibetan term "La-tags" meaning the "land of the la's" or land of the "passes". Indeed KardungLa (Kardung pass), about 3 hours north of Leh, boasts the highest motorable road in the world at 18,340ft. Accurate population counts are difficult since 91% of the population live in rural areas; many of these areas are only accessible by foot. Estimates as low as 115,000 and as high as 250,000 have been given, depending on how "Ladakh" is defined. 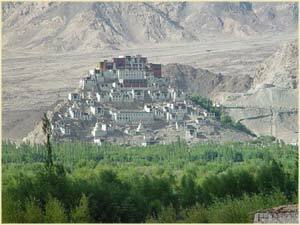 Many sources consider only the "Leh district" to be Ladakh. 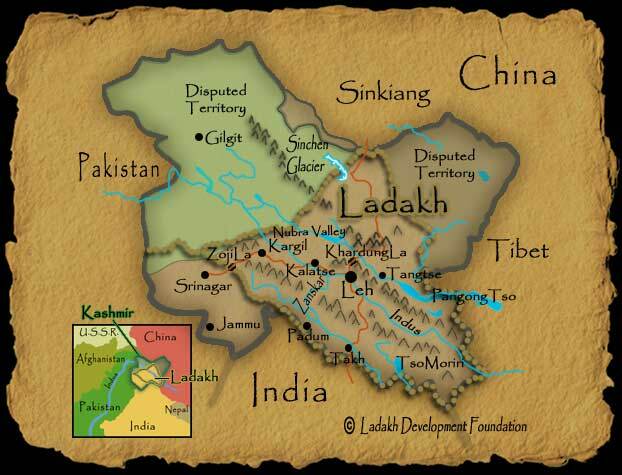 Ladakh is divided into 6 districts. According to the 1981 census there are a total of 112 villages divided between the 6 districts. See http://leh.nic.in/profile.htm for names of the districts and other details. 89% of the population lives in rural areas and 70% are involved in various farming operations. By religion, the population is 81.2% Buddhist, 15.3% Muslim, 3.0% Hindu, 0.3% Sikh and 0.2% Christian. In the early 1960's research and development programs of the Indian Department of Agriculture were implemented in Ladakh. Forestry and Animal Husbandry were the first departments to begin operations in Ladakh. In 1962 the Field Research Laboratory (FRL) was established under the auspices of the Indian Ministry of Defense. Its mandate was to increase the local production of vegetables to meet the demand of defense personnel. This effort has resulted in substantial benefit to the population in general and many of their research findings have been incorporated into studies conducted by the Sher-e-Kashmire University of Agricultural Sciences and Technology (SKUAST). While preliminary research of SKUAST had been initiated in 1987 the Regional Agricultural Research Station of SKUAST was started in 1989 and began field trials in 1992. Since that time four yellow-rust resistant, high yielding wheat cultivars have been developed and numerous others are under field trials. Barley is the major crop in Ladakh and the Research station has developed 2 hulless cultivars that are well adapted to conditions in the region around Leh. Numerous other genotypes are under consideration. Other crops being developed by the research station are canola, sunflower, oat (as a forage), several varieties of pulses, tomatoes, numerous cucurbit species including watermelon. broccoli, cauliflower and other Brassica species. Among fruits being evaluated are strawberries, grape, and a new introduction called a rusp-berry. Please visit the links provided above to learn more details about these programs and numerous other accomplishments at both the FRL and SKUAST. 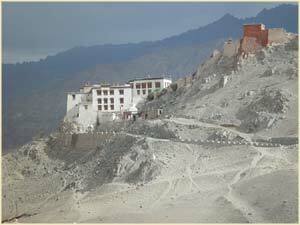 Good information including status of the 2 roads in to Ladakh, but difficult to navigate. Very thorough, excellent list of references. 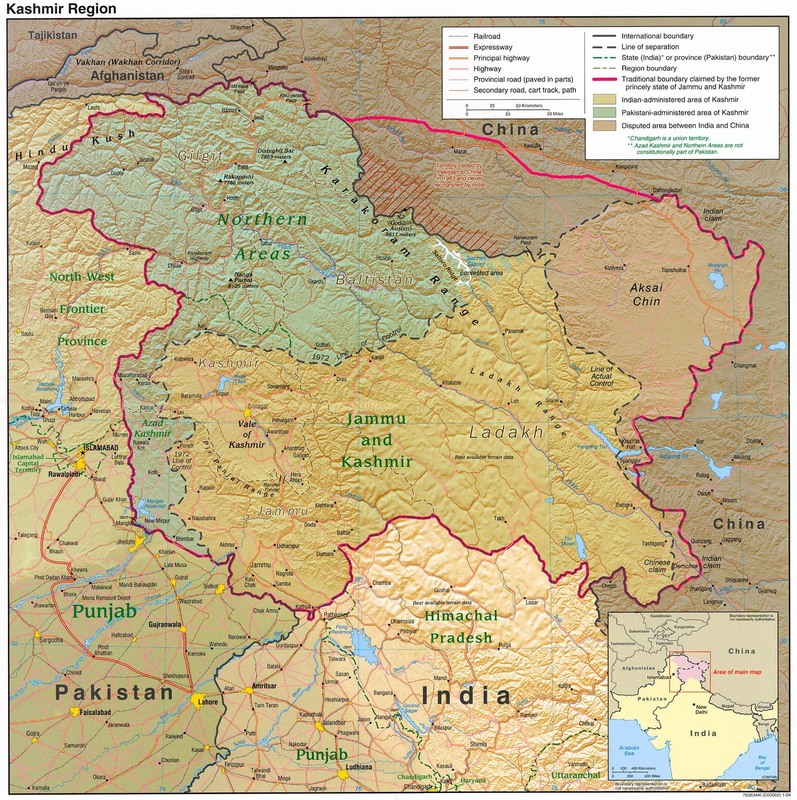 Covers all of Kashmir, not just Ladakh. *Population estimates and agricultural statistics were obtained from SKUAST.